Our Obsession with Releasing is Hurting Us. Language around “release” and “letting go” pervades the movement and healing world, but what do we mean by these words? When language become habitual, our wisdom should guide us to step back and examine it carefully. According to the Oxford Dictionary, the definition of release is: “allow or enable to escape from confinement; set free.” But before we focus on releasing tension, we need to understand why the tension, pain, or restriction is there in the first place. During times of debilitating stress, or in trauma recovery, if we only focus on releasing tension we might be misguided. Tension does have a purpose, and we need to ask ourselves what that purpose is fulfilling. Our bodies are held together with tensile integrity, also known as biotensegrity, and you might say that something similar can be said of our our psyches. 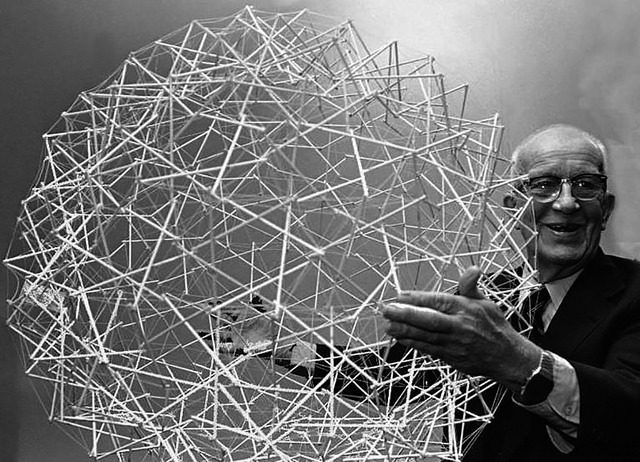 Tensegrity is a term first used in architecture by Buckminster Fuller. Here are some pictures of human-made structures built on the principle of tensegrity. Imagine taking one of the points of tension away. The whole structure collapses. Biotensegrity is a new(ish) approach to understanding how bodies work based on the insight that we are primarily tensegrity structures, and our bones do not directly pass load to each other. Thus, forces primarily flow through our muscles and fascial structures and not in a continuous compression manner through our bones. In fact, our bones do not directly touch each other, and are actually “floating” in the tension structure created by our fascial network. Zero tension equals collapse and, in the case of the autonomic nervous system’s response to threat, feigning death. The feign death/submit/collapse responses all involve a lack of tension in the body, going limp or hypotoncity. Our fascial system becomes like a deflated balloon. Our mammalian nervous systems decide what the most intelligent response might be and, if we can’t escape or fight back, we go limp so that we seem dead and less appetizing to a potential predator. Then, if the predator still decides to eat us, we get a big rush of natural pain killers and go numb so that we don’t actually feel the teeth sinking into us. All very pleasant sounding, I know. But getting out of a chronically collapsed state is very difficult because we actually feel lifeless, there’s no energy or tension to harness to mobilize ourselves. For this very reason, the habitual cue to release, soften, and let go in yoga classes is not useful for many trauma survivors. For a trauma survivor who escaped more psychological or physical harm by feigning death, constantly releasing tension can exacerbate this sense of collapse, immobility, and helplessness. The fascial system mirrors the autonomic nervous system’s response to threat. This threat response, which may have been a way of surviving in our past, can leave us in a state of learned helplessness today. Many trauma survivors need to feel their physical power, agency, and strength in order to access what the yoga tradition refers to as their “life force” (prana) and even, potentially, their repressed anger in order to learn how to break the cycle of collapse . We develop coping mechanisms based on belief systems (about our family, relationships, whether or not the world is friendly or dangerous) that help us function in the world. This could manifest as walking on eggshells to avoid conflict and people pleasing in general, or working overtime because we fear if we don’t do more than expected, we will be fired. We develop these coping strategies based on what resources we have available at the time, what Sensorimotor Psychotherapy refers to as survival resources. Perhaps we had a parent who never made us feel we were enough, or a former spouse, or a former boss. Maybe we felt we had to overcompensate to get their approval, love, or even basic care. Removing a survival resource too quickly can lead to us falling apart, leaving us unable to manage the day to day demands of life. When we find more creative resources, tools for self-soothing that help us feel emotionally and physically regulated (such as movement that makes us feel joyful and playful, expressive arts, hobbies that connect us to our communities) our out-moded survival resources slip away on their own. As a result, the term “leaning into pain” as a way to clear the past out of our minds and bodies can be truly uninformed from a working with trauma standpoint. Many people with a history of trauma are either in a state of high emotional pain, physical pain, or emotional or physical numbness—or a combination of the two. People with trauma histories already know pain very well. Trauma recovery is first about helping people improve their quality of life, right now—to feel less physical and emotional suffering—so that our nervous systems can start to regulate. Leaning into pain can send people outside their window of tolerance even further and create deeper neural pathways around the trauma. Feeling all of our pain at once can be destabilizing for trauma survivors.The first stage of trauma recovery is creating a sense of safety and stabilizing both internally and externally. No true trauma recovery work can occur without these two things. The past will continue to feel like the present in our bodies and minds. For example, when we take a hard, plastic massage ball and dig into the superficial layer of fascia, it sure feels like something is happening, but we are really just overworking connective tissue and breaking up fascial adhesions to the point that it creates more inflammation by causing damage to the tissue. To repair this newly created inflammation caused by overworking tissue, new adhesions are formed. So, it becomes a cycle of working hard to break up adhesions only to create soft-tissue damage that needs to be repaired again. We also might get a rush of endorphins afterward that leaves us feeling a little high, but we end up rebounding back into our tension even further. No lasting structural change or shifts happen. If we focus on releasing both physical tension and emotional tension as the ultimate goal without asking the question, “What am I releasing into?” we might not fully understand the complexities of healing our bodies or our minds. We can only truly release when we have a sound physical and psychological container to release into. We don’t want to break down our physical or emotional containers. We need tension to keep us moving through the world. Otherwise, we might release and then need to habitually pull ourselves back together. In restorative classes, cues like “just let it all go” can be problematic. Do we need to become puddles to relax and feel grounded? For many people with a history of trauma, feeling contained and able to mobilize the body is the path to recovery and a state of inner calm and safety. Idealizing this surrender can negate the fact that people might already be far too collapsed already. Have you ever noticed how certain muscles that hold tension become the enemy in certain movement or healing circles or how compulsive behaviours (whether emotional eating, overworking, overspending, drinking, or spiritual bypassing—to name a few) become things about ourselves that we feel shameful about? But the truth is they were survival resources at one point that got us to where we are today. There’s an important reason for their existence. Sure it feels good to release emotional or physical tension and pain. It can be extremely cathartic to let go. But what if the act of releasing and the highs of catharsis are just that, highs we chase and even get addicted to? I’m not saying a little catharsis is bad. In fact, 90 percent of my clients cry during our first meeting but that’s because I create an environment or a container where it’s safer to let go. If I notice a client moving out of their window of tolerance, hyper-aroused or shut down, I know I need to find a way to help them ground and become more regulated. Rather than avoiding what we feel or letting it go, the trick is to move into difficult emotions, and without collapsing under the weight of them. Dr. Jon Kabat-Zinn would describe this collapse as falling off your surfboard while you’re riding a wave. Dr. Peter Levine might use the example of a slinky opening so far and so quickly that it loses it’s ability to be springy and bounce back. As yoga teachers, it might be helpful to consider replacing the concept of release and letting go with the idea of regulation in both our physical and psychological tensegrity. We need to focus on creating a sense of stability and safety both physically and emotionally—to sense our physical and emotional boundaries to have a safe and regulating container to release them into. While many yoga teachers encourage more flexibility, softness, and openness, they might indirectly negate the need to feel stable and contained first. Lack of joint stability makes us feel more vulnerable and less resilient, potentially making us feel less safe out in the world. No wonder joint hypermobility is correlated with higher levels of anxiety. Couple this fact with the drive to gain attention in social media by contorting our bodies in order to stand out, and we have a confluence of conditions taking us away from what our bodies really need. We need to look more kindly on our physical and psychological tension as survival resources that have gotten us this far in life. Things we need to pay homage to instead of pathologize as maladaptive and needing to be removed at all costs. The tension is there for a reason. What’s the reason? We can only let go of what has become maladaptive movement patterns, muscle tension, or psychological survival strategies when we feel safer and stable to do so, when the support structures are in place to contain the release. We might consider blending the idea of bridging a need for safety with the ability to release and discover that alignment with our bodies’ and minds’ healthiest states will unfold with more ease and flow. Jane Clapp They refused to publish it because you were TOO ON TRACK. I'm really excited to hear that you have colleagues that share the same views. It is vital that the inormation you have shared here becomes mainstream. People taking yoga need to be aware of the potential risks, need to know whether instructors are trained to work with clients that have varying degrees of trauma or PTSD, need to be informed on what potential side effects/reactions can occur when practising, how much practice is too much practice? (indeed according to your article, if I'm understanding it correctly, amount of practice and poses/movement should probably be customized for each practitioner). You have explained clearly why my own experience with yoga, instead of helping me cope with trauma, only served to exacerbate it. The tension was indeed there for a reason. It was there to ground me! I completely agree with the fact that relaxation is not always the main answer, and I also believe that it doesn't work with everybody. Great article, absolutely loved it! Thank you so much for your validation and deeper explanation of how you have experienced this in practice and in your students. I am so heartened to be receiving this support and affirmation. This article was supposed to be published by Yoga International after they approached me to expand on a post I had done a couple years ago. After hours and hours of editing, they declined to publish it and that was a real blow to my sense of being on track and made me wonder what level of resistance I would meet in the yoga world by saying these things. Instead, I have received 99% positive feedback. I'm really excited to see things shifting for so many people and to know I have colleagues that share the same views. Thanks again. Thanks Jane Clapp - a powerful and clear synthesis of cutting edge knowledge about how trauma is held in the body and what respectful recovery truly means. Much appreciated! Hi Charlotte! Thanks for sharing about your experience. I hope you have loads of self compassion for the fact the pull to increased flexibility isn't all on you. Hope you're feeling stronger and more balanced in every way. You sound really self aware! Thanks for this article. As a person who was born naturally flexible, I overused my flexibility for many years in asana practice. My main asana teachers, Donna Farhi and Judith Hanson Lasater, encouraged me many times to build stability instead of focusing so much on increasing my flexibility. But the call of my ego and the need to be the most flexible person in the room were much louder for me than their perfectly reasonable advice. In the past three years, both my hips have been replaced. This is at least partly due to the fact that I was born with shallow hip sockets. My surgeon told me that no matter what I did, I would have needed these replacements sooner or later. But I believe that the crazy, so-called "advanced" poses I practiced for so many years may have sped the process up. I now focus just as much on stability as I do on flexibility. Balance is the intention of this practice, not extreme flexibility. The fact that you've drawn parallels between the physical imbalances of hypermobility and the emotional consequences makes so much sense. Thanks for offering this great food for thought. Thank you for the article. I agree with Jennifer Evangelista. Here is another possible way to achieve the releases you have discussed. The John F Barnes method of Myofascial Release enables one, with the help of the therapist, to safely release emotionally and physically. Pain during treatments- emotional as well as physical- is therapeutic, with no injury. The therapist searches for areas of tension in the body and then finds their source. Then she/he uses cross-hand or other holds on soft tissue to reach into the fascia deep within the body, enabing releases, which may be physical, emotional, or both. Amy Buckingham, Myofascial Release Therapist and LMT. Such a breath of fresh air, thank you! I'm so glad to hear this connects for you. It can be a slow road and I've found moments of new levels of happiness and fulfillment in the process, moments I never would have had if I didn't stay true to what works for me. Thank you so much for this article. Your understanding of trauma and recovery extends beyond anything I have read thus far. Sometimes "survival" mode is the safest place to remain until, as you explained, the individual can re-build the foundation of strength and safety to take more steps forward in actually "releasing" or " letting go" entirely. While the actual infliction of trauma is usually beyond one's control, the recovery is, Im finding, within one's control, but the process can be slow and set backs can occur when one tries to push themselves to "escape" the pain rather than build from it to reach the next level of progress. This has just been my experience. Thank you again for writing this. Jane Clapp has been a practitioner in the health industry for two decades. 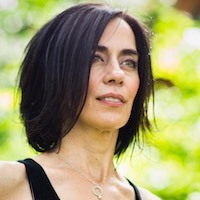 Her approach is to creatively combine holistic personal training, yoga, ELDOA, fascial stretch therapy, Buteyko breathing, Reiki, sensorimotor psychotherapy, mindfulness based stress reduction, and other movement and healing modalities along with an understanding of the impact toxic and traumatic stress has on our physiology and our fascial system. Jane brings an anti-oppressive lens and bio-psychosocial approach to working with her clients in gaining strength, mobility, and energy. Recently, she co-founded Trauma Informed Practitioners (tipractitioners), a membership organization setting minimum training requirements to be considered trauma informed. Through personal and professional exploration, she knows that you can cultivate a deeply felt sense of resilience and agency to realize freedom in your life. You can connect with Jane on her website.